HPV, short for the human papilloma virus, refers to a group of over 150 viruses that several negative changes within a human body. They are called the papilloma virus due to the fact that several viruses from this group are known to cause warts or papillomas, which are a form of non-cancerous tumor. At the same time, some of the types of HPV are far more serious as they have been linked to cancers, especially cancers of the cervix. One of the key characteristics of the human papilloma virus is that they can only survive within a specific type of cell: the squamous epithelial cell, which can be located on the skin’s surface and especially within moist surfaces such as the mucosal surfaces. A part of the HPV group falls under the low-risk genital HPV type, which is known to cause low-risk issues such as warts in specific locations. The high-risk genital HPV types are known to cause cancer in both men and women. They cause changes on a cellular level which can lead to pre-cancers, following into cancers over time. HPV has no key symptoms that can be used to identify it, with the exception of specific types of warts caused by some members of the virus group. The rising prevalence of cervical and vaginal cancer is the cardinal factor driving the global HPV testing market. The Centers for Disease Control and Prevention states that every year 16 out of every 100,000 women are likely to be detected with cervical cancer. Globally, it is identified as the third-most commonly occurring cancer and the mortality rate due to this cancer is also quite high. HPV test helps in the screening and early detection of cervical cancer. 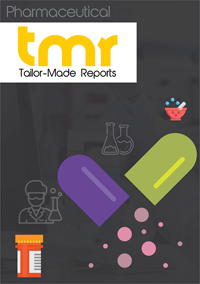 The research report sheds light on various important parameters including dynamics and competitive landscape of the global HPV testing market. For an extensive understanding, it segments the market on the basis of applications, end users, and geography. It analyses each segment in terms of both revenue and volume. It profiles key players in the market along with their revenue generation, latest developments, business strategies, and contact information. Governments are increasingly introducing programs that are promoting awareness regarding cervical cancer screening programs, which in turn is providing a significant push to the HPV testing market. Other than awareness programs, governments are also pouring funds into the research and development of screening kits and devices, which is working in favor of the growth of the market. Despite the initiatives and funding, the continuously changing regulatory guidelines for cervical cancer screening are hampering the growth of the market. Moreover, the lack of favorable reimbursement scenario in several countries is limiting the market from realizing its utmost potential. On the other hand, technological advancements are creating immense growth opportunities for the market. The regional markets studied in the report are North America, Europe, Asia Pacific, and Rest of the World. North America will account for a large share in the market throughout the forecast period. The demand for HPV testing in the region will rise against the backdrop of growing incidence of cervical cancers. The growth of the region is also supplemented by conducive federal policies that are encouraging the uptake of screening programs for cervical cancers. Moreover, the introduction of innovative technologies for improving patient care and diagnosis is providing a fillip to the growth of the region. Asia Pacific is likely to emerge as a promising market during the same period owing to the increasing prevalence of communicable diseases, particularly in developing countries such as India. The rising number of government programs that are spreading awareness regarding benefits of early cancer screening is contributing to the growth of the market. Several players in the global HPV testing market are increasingly investing in the research and development of advanced and innovative test kits and devices. Partnerships and collaborations are among go-to strategies of key players to consolidate their presence in the market. Some of the key players in the market are Abbott Laboratories, Hologic, Inc., Becton and Dickinson, bioMerieux SA, CytoCore Inc., Qiagen, Inc., Roche Molecular Diagnostics, DiaMex GmBH, Merck & Co., Genomica S.A.U., DAAN Gene Co., and Ventana Medical Systems Inc.